Susan LaMonica wins Gold Stevie® Award for Great Employers. 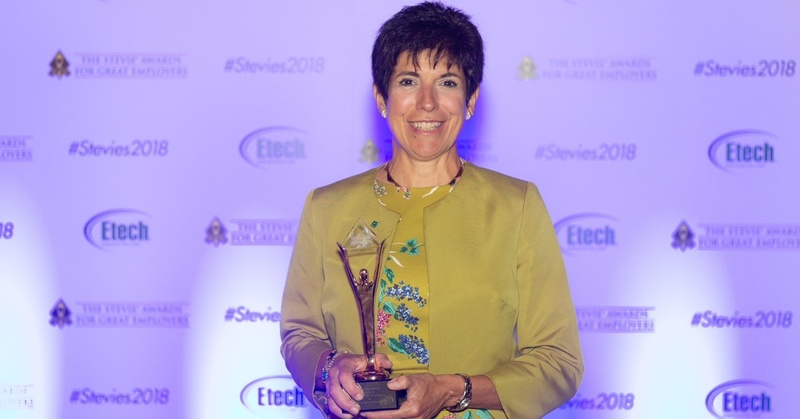 Susan LaMonica, our Chief Human Resources Officer, was honored with the Gold Chief Human Resources Officer of the Year Award at the 2018 Stevie® Awards for Great Employers. This prestigious award recognizes the world's best companies to work for, and the HR teams, professionals, achievements, new products, and suppliers that help to make them that way. A human resources veteran, Susan helped guide Citizens Bank through the largest bank IPO in history in 2014. Since the momentous transformation, Susan has led a multi-year strategy to accommodate the rapid change the bank has experienced – and deliver the success we have enjoyed. Her human resources strategy centers on several areas and strives to create a culture and colleague experience that drives value for our customers and positions us to be a leading destination for talent. Several areas of priority include differentiating the colleague experience, accelerating how our colleagues learn and building capabilities for the future, all while maintaining in an environment where all colleagues feel empowered to do their best work. More than 550 nominations from organizations in 21 nations were submitted for the Stevie Awards®. The distinguished award demonstrates what an exciting time it is to be a Citizens Bank colleague, and how well we are prepared as our organization drives forward. Read more stories about our other colleagues. If you want to join our growing team, apply now!